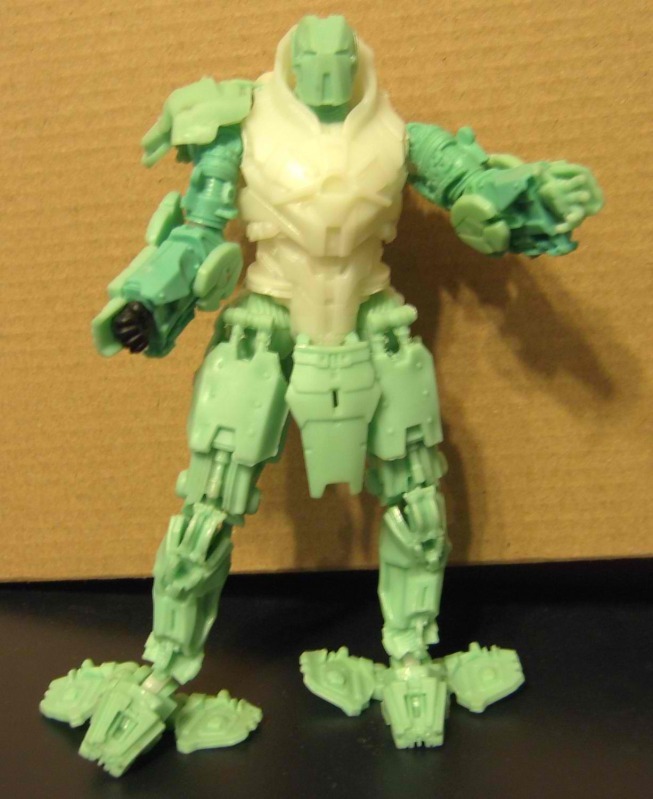 Toyark boards member wildbill75 has received one of the items he won recently from ebay, the Armored Whiplash prototype from the Iron Man 2 movie line(s)! 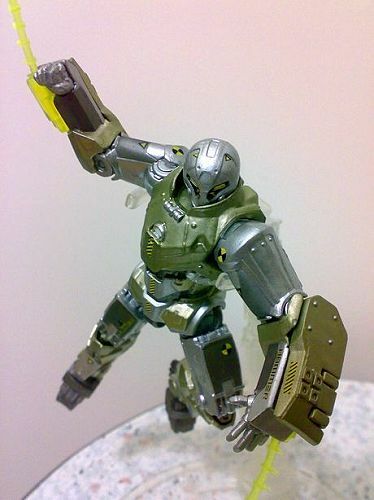 This figure was surprisingly and noticeably absent from the Iron Man 2 line. Could it finally see the light of day in the current Iron Man Armored Avenger line? This is just the 3 3/4 inch version right? dont give a flying nun about ironman but thats kind of neato. really want to see something like these other than another iron man repaint. not interested with this one since its concept series not base on the movie. Same here. It made sense to have multiple armors for tony but holy crap there's too many for him in the line! this was actually in the film, during the senate scene you see it when they pull up the hammer tech test. The drones I never tire of.. as they are perfect for army building or making battle scene displays if cheap enough can be bought in multiples and used for custom parts or make them battle damaged easily. 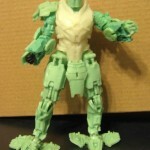 Looks cool, but I think I'm done with IM2 toys, unless they're War Machine. I got one from hasbro toy shop before they sold out its a great figure I used it as a drone captain of the others lol. its even better in hand then the pics. Although the whips are different perhaps that a prototype? ?